“Saimdang, the Herstory” airs sometime in the second half of this year in South Korea. Trailer added for upcoming movie “A Hunger Artist” starring Hiroshi Yamamoto. Movie is based on the short story “A Hunger Artist” (“Ein Hungerkünstler”) by Franz Kafka and directed by Masao Adachi. The screenplay has been updated to present day Japan. “A Hunger Artist” opens February 27, 2016. Here’s the first teaser poster for upcoming movie “The Worst Bad Guys in Japan” starring Gou Ayano. Movie is based autobiographical novel “Hajisarashi Hotsukaidoukei Akutoku Keiji no Kokuhaku” by Yoshiaki Inaba and directed by Kazuya Shiraishi (“The Devil’s Path“). 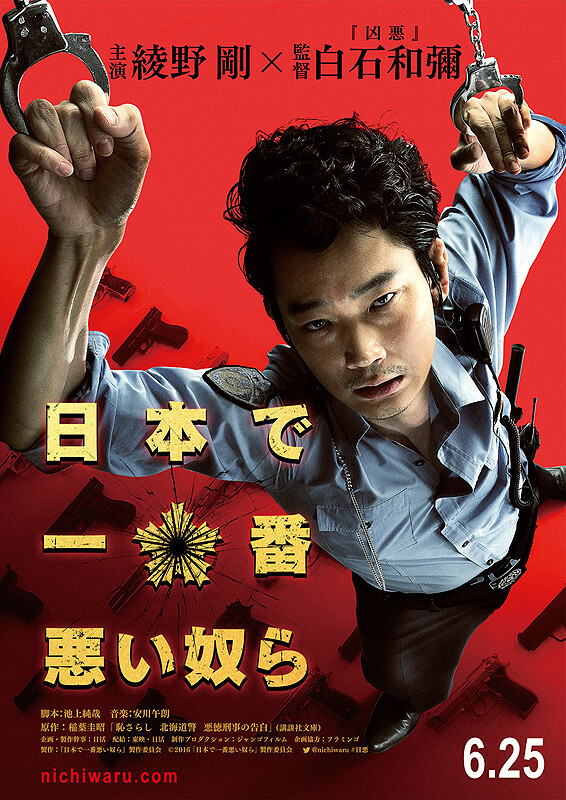 In movie “The Worst Bad Guys in Japan,” Gou Ayano plays Police Inspector Morohoshi. The film follows 26 years in the life of Police Inspector Morohoshi, up to his arrest for drug and gun possession. Gou Ayano gained 10 kg (22 lbs) for his role in the film. “The Worst Bad Guys in Japan” will be released June 25, 2016 in Japan. Actor Lee Pil-Mo is cast in upcoming MBC drama series “Happy Home” (literal title). In drama series “Happy Home,” Lee Pil-Mo will play Yoo Hyun-Ki. His character is the husband of Bong Hae-Ryung (Kim So-Yeon). He became the director at a large company at a young age and he is a workaholic. 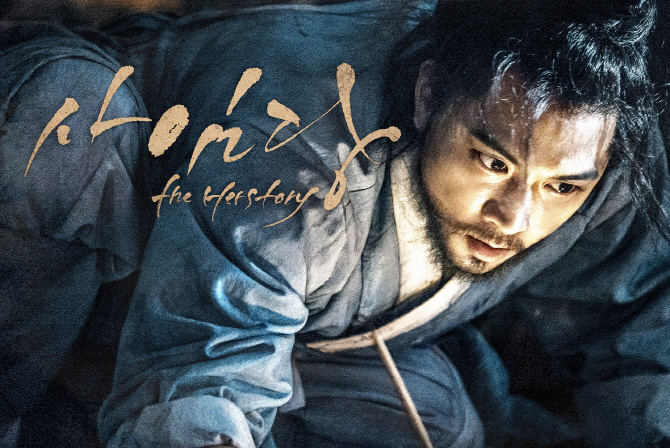 His character is cold to to his wife Bong Hae-Ryung. The couple appears perfect to the outside world, but their marriage life is not nearly as joyful as it appears. “Happy Home” first airs February 27, 2016 in South Korea. Kanta Sato & Reina Visa are cast in upcoming live-action sequel film “Mischievous Kiss The Movie: Campus.” The live-action sequel film follows “Mischievous Kiss The Movie: High School” which is set to be released August, 2016 in Japan. Story for “Mischievous Kiss The Movie: Campus” has main characters Naoki Irie (Kanta Sato) & Kotoko Aihara (Reina Visa) now attending college. A new girl appears in front Naoki, Yuko Matsumoto (casting not yet finalized), which causes friction between Naoki and Kotoko. Filming for “Mischievous Kiss The Movie: Campus” begins April, 2016. First script reading for upcoming OCN drama series “Vampire Detective” starring Lee Joon, Oh Jung-Se & Lee Se-Young took place December, 2015 in Seoul, South Korea. Story for drama revolves around a detective (Lee Joon) who mysteriously turns into a vampire. As he solves cases for others, he also tries to solve the mystery surrounding himself. “Vampire Detective” first airs March 27, 2016 in South Korea. 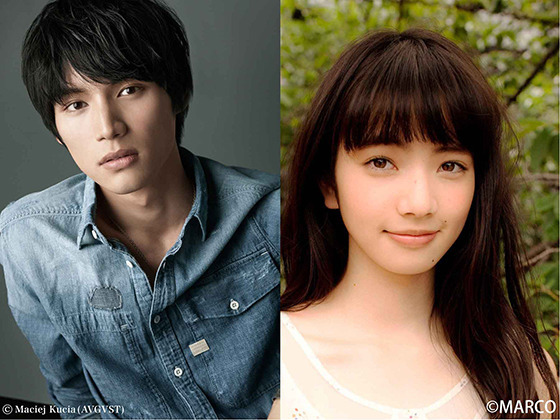 Sota Fukushi & Nana Komatsu are cast in movie “Boku wa Ashita, Kinou no Kimi to Date Suru.” The film is based on 2014 novel “Boku wa Ashita, Kinou no Kimi to Date Suru” by Takafumi Nanatsuki and directed by Takahiro Miki (“We Were There“/”Hot Road“). In movie “Boku wa Ashita, Kinou no Kimi to Date Suru,” university student Takatoshi Minamiyama (Sota Fukushi) sees Emi Fukuju (Nana Komatsu) and falls in love. The two begin to date and enjoy their time together, but Emi Fukuju reveals her secret to Takatoshi Minamiyama. “Boku wa Ashita, Kinou no Kimi to Date Suru” will be released December, 2016 in Japan. 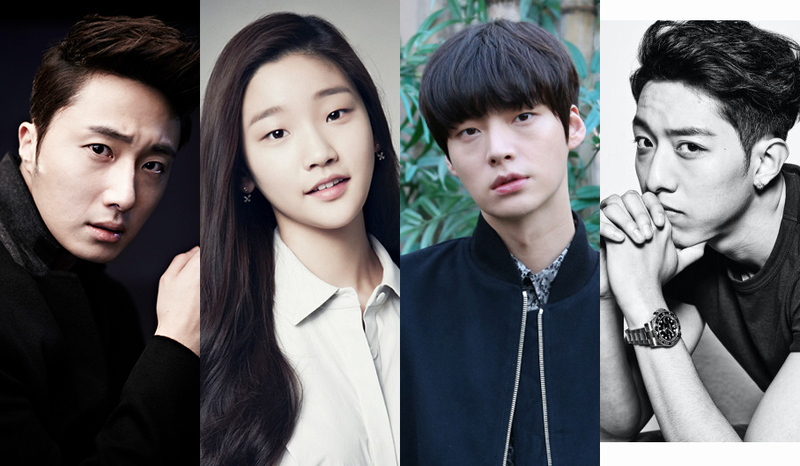 Actress Park So-Dam and Lee Jung-Shin from Kpop group CNBLUE have been offered roles in upcoming drama series “You’re The First.” Jung Il-Woo (lead male role) and Ahn Jae-Hyeon (major supporting role) have been previously offered roles in the drama series and all are currently considering the offers. Drama series “You’re The First” is based on 2011 novel”Cinderellawa Nemyungui Kisa” by Baek Myo. If Park So-Dam accepts her offer, she will play lead female character Eun Ha-Won. Her character is a bright high school student, but her home life is far from bright. She lives with her father, step-mother and step-sister. After she saves a mysterious older man, she begins to live in a mansion with three brothers and their bodyguard. “You’re The First” will air sometime during the second half of this year. Exact network which will air the drama series has yet to be determined. Actress Kim So-Yeon is cast in upcoming MBC weekend drama series “Happy Home.” She will play a housewife for the first time in her acting career. In the drama series, Kim So-Yeon will portray Bong Hae-Ryung. Her character is the daughter of Bong Sam-Bong (“Kim Young-Chul“) who runs a Chinese restaurant. She has been married for 13 years and her husband works for a large corporation. Her mother-in-law is a famous hanbok (traditional Korean dress) designer. Bong Hae-Ryung has a bright personality, but she often feels sadness due to her husband’s cold manner and her mother-in-law who treats her nicely outside of their home only. First script reading for upcoming KBS2 weekday drama series “The Promise” (English title) starring Lee Yu-Ri, Song Jong-Ho, Park Ha-Na & Seo Jun-Young took place January 1, 2016 at KBS Annex Broadcasting Station in Yeouido, South Korea. Main cast members, including Lee Yu-Ri, Song Jong-Ho, Park Ha-Na, Seo Jun-Young, all attended the script reading. “The Promise” first airs February 1, 2016 in South Korea.